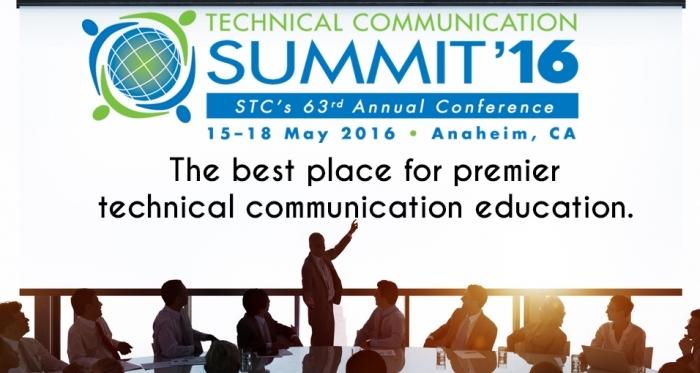 STC’s 2016 Summit takes place 15-18 May in Anaheim, California, and officially begins Sunday evening with an opening keynote speaker and the Welcome Reception in the Expo Hall. The Education. Organized in tracks, these sessions begin Monday morning and continue until midday on Wednesday. Sessions are offered in a variety of formats, including traditional presentations, workshops, progressions, and lightning talks. The Summit will come to a close on Wednesday with a closing keynote to wrap up three busy and exciting days of learning and networking.